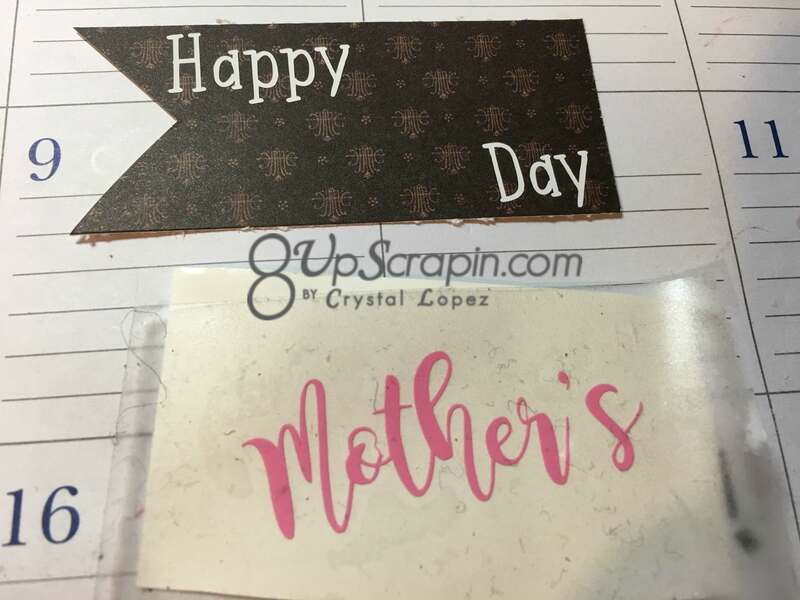 You are here: Home / Scrappy / I Brake for Mama !!! 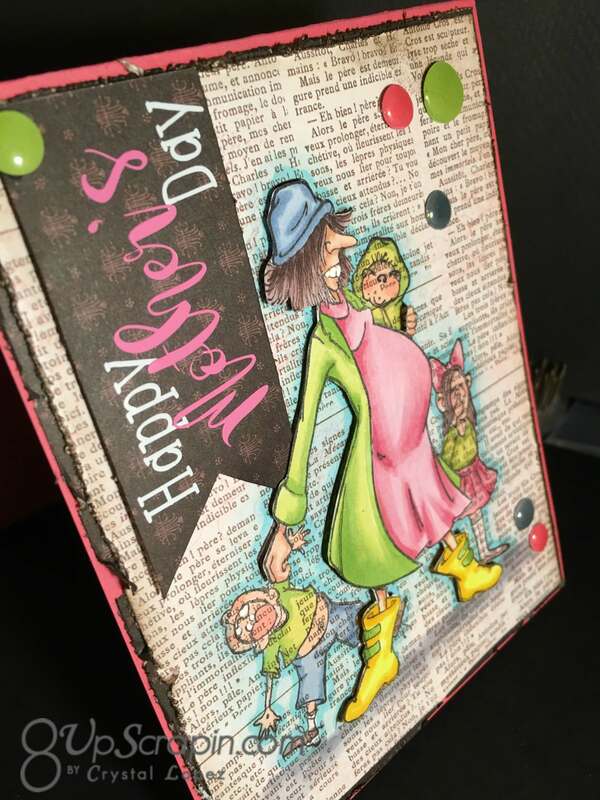 It’s Crystal here and today I have a Mother’s Day card using Enoa Mae and Kids , she is from the Humorous Senior line and you all know how I love love love that line …. 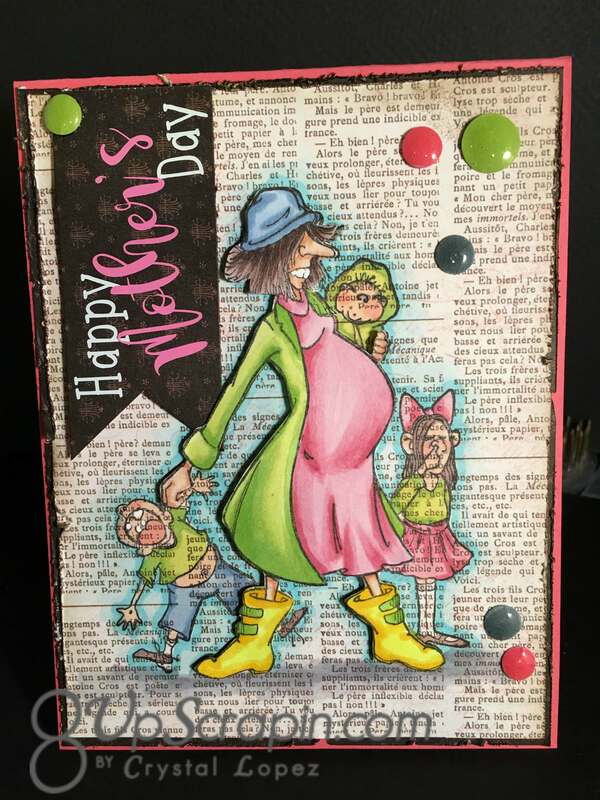 Today I wanted to show how you can get more looks out of your stamps by cutting the stamped image apart and highlighting one of the images to be the main focal point , this is a Mother’s day card so I wanted Mom to stand out from the kids , take a look at my card and then I will walk you thru how I did it . 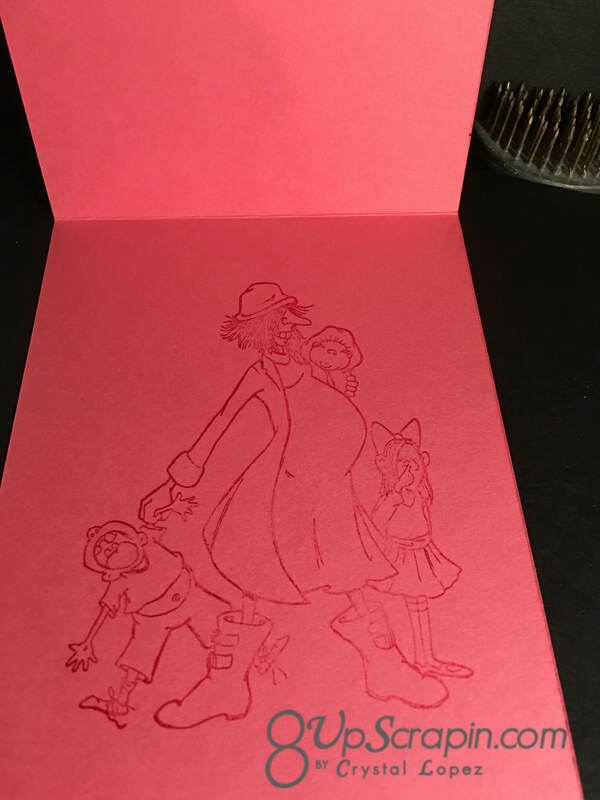 I did not have a die cut to fit the area I need it to fit , so what I did was use my Silhouette and cut vinyl to fit the area I need it to fit , it looks like its embossed but its really just vinyl , give it a try it will open a hole new world . 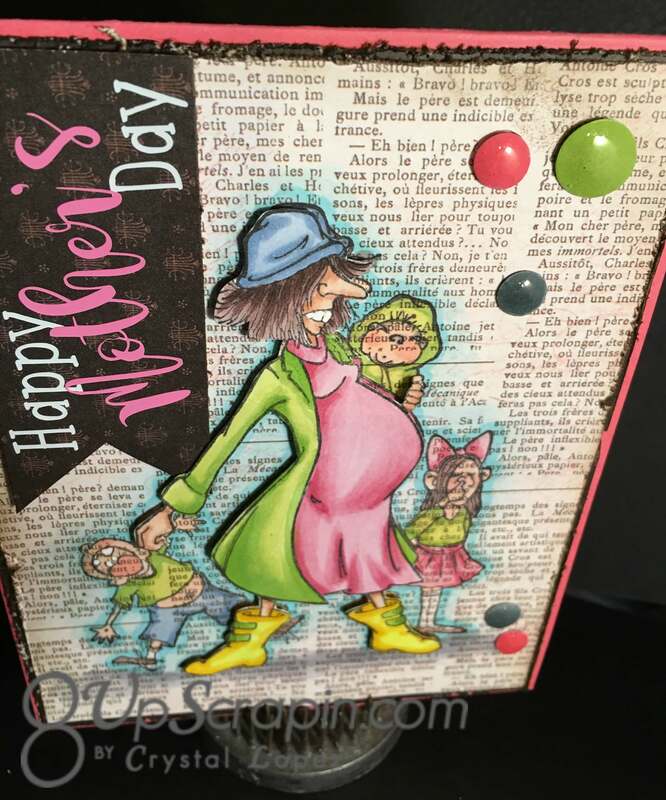 well I open this post has inspired you to look at your stamps in a whole new way , turn those images into a 2D look , leave me a commit if you liked my card today and if this is something you would like to try . 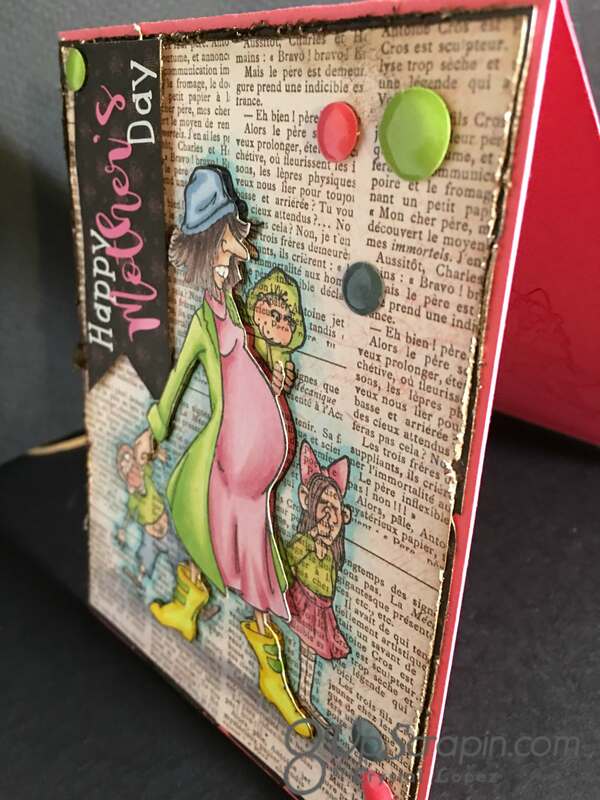 Thank you for sharing this technique…so cute! 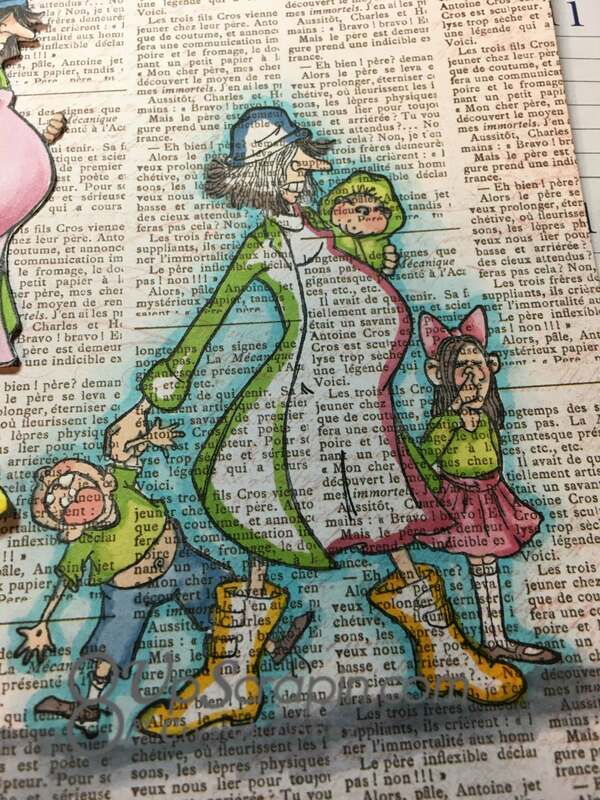 Can you use regular newspaper? 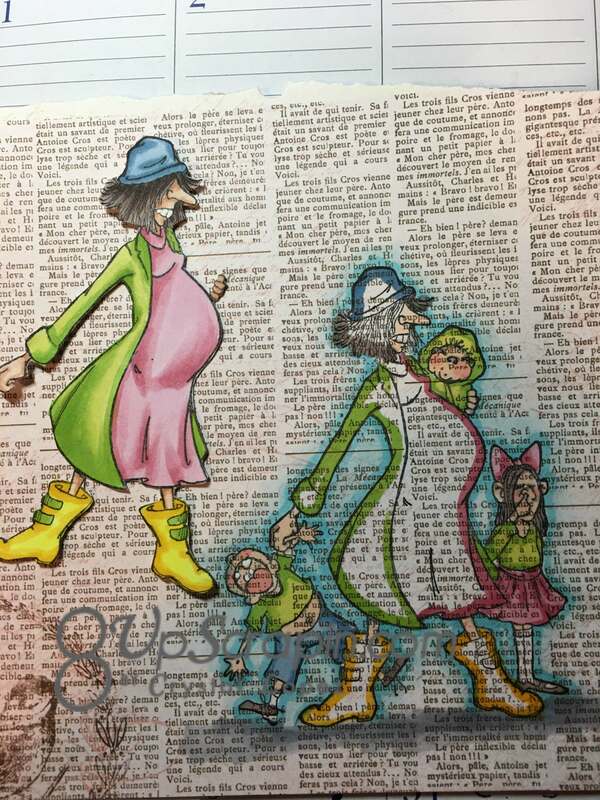 Yes barb , you can use regular new print just keep coloring very light , can be done with colored pencils too. Thx for stopping by.